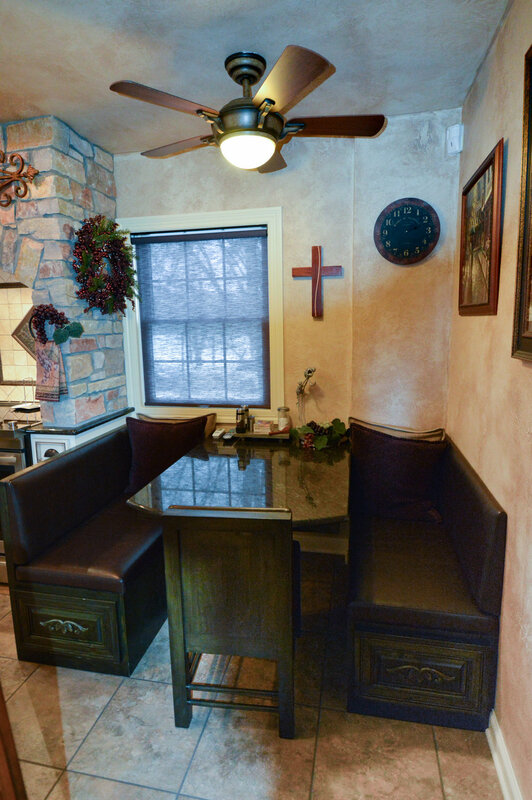 Complete kitchen transformation that transports you to an Old World Bistro. 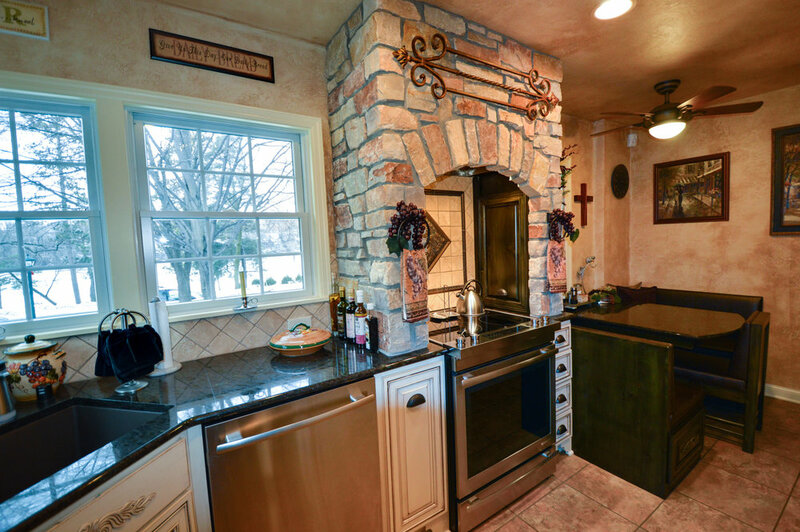 As you enter this Italian inspired kitchen, you are whisked away; From the painted, glazed, distressed cabinets with ornate detailing and appliques to the stone accent wall and art glass lighted top panels. 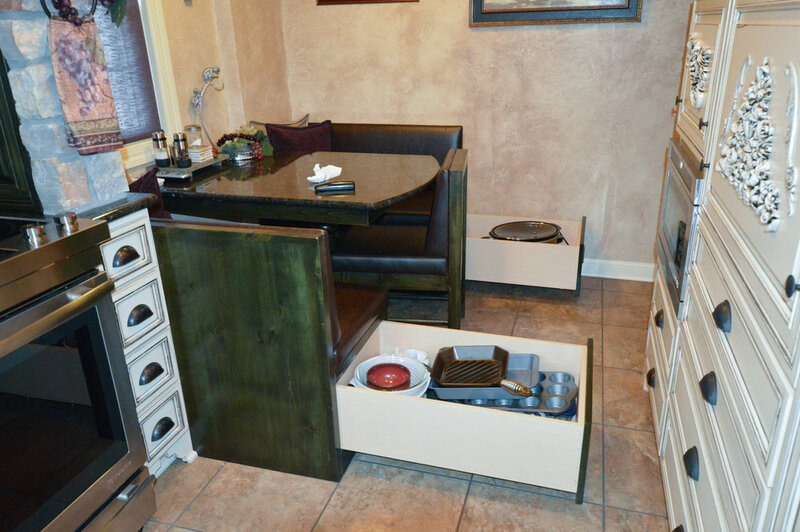 The homeowner utilized every inch of space for unique storage and versatility for their individual needs. 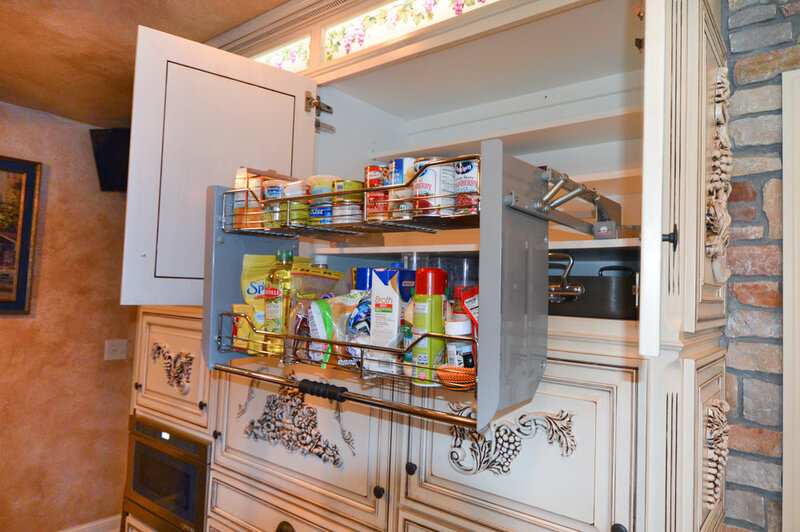 High cabinets were difficult to reach, so inserts were installed to allow the owner to bring the shelf to her. 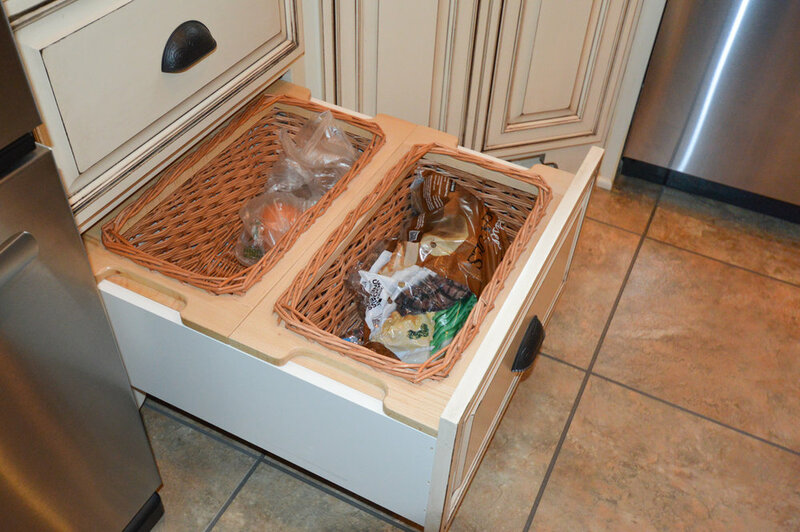 This small kitchen has ample creative storage for all of their cooking needs.